Ceremonial grade matcha in convenient, single-serve to-go packs, perfectly measured for a ceremonial matcha bowl, or small water bottle. It’s everything we love: top-of-the-world tasty, portable, and accessible! 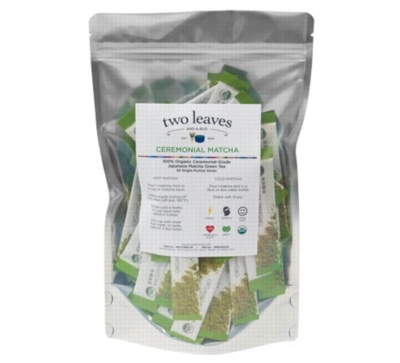 Fifty powdered matcha sticks per bag.